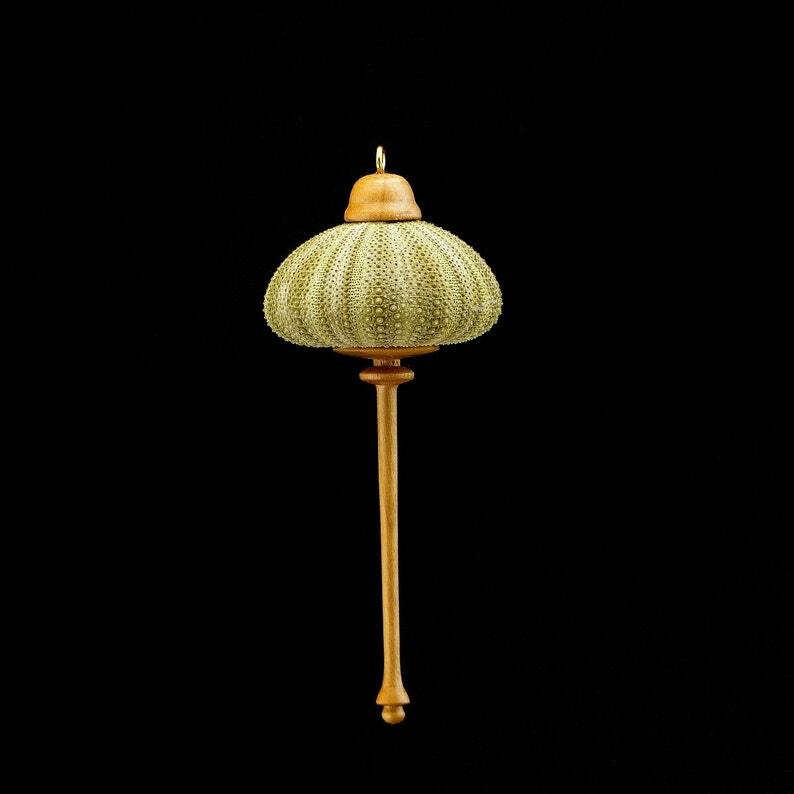 A delicate, genuine Green Sea Urchin shell is the body of this hanging ornament. The cap and icicle are of Cottonwood. Hangs from a brass screw eye in the cap. These make elegant Christmas tree decorations, or, hung in your home, will spark fascination in your visitors. This is a very delicate piece, to be handled with care; it weighs less than 1 ounce. The shell diameter is 1-3/4 inches. Overall length of the ornament is 4-1/4 inches. Item # OR55, Green Sea Urchin & Cottonwood Ornament.